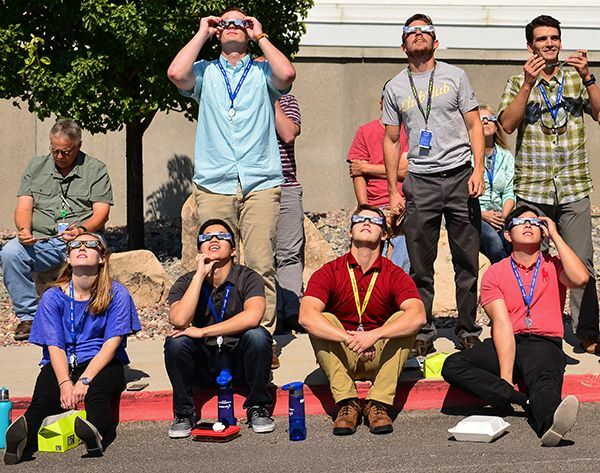 Orbital ATK employees across the country gathered outside on Monday, August 21 to view the first U.S. coast-to-coast total solar eclipse since 1979. 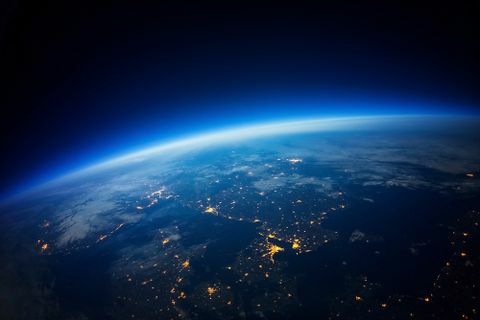 While most of the sites missed the "path of totality," or the areas that experienced total coverage of the sun by the moon, many of the locations were still able to witness the spectacular scene of a partial eclipse. Employees watched the event through special eclipse-safety glasses, homemade viewing devices and livestream broadcasts. 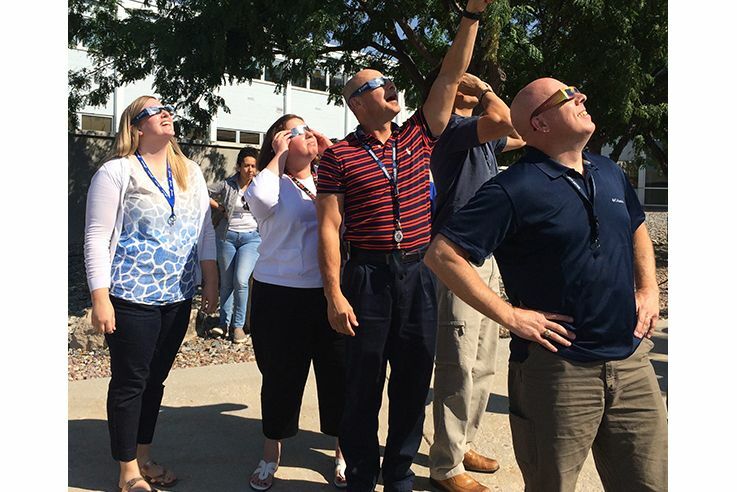 Employees at Orbital ATK's Promontory, Utah, facility point out the solar eclipse on August 21, 2017. 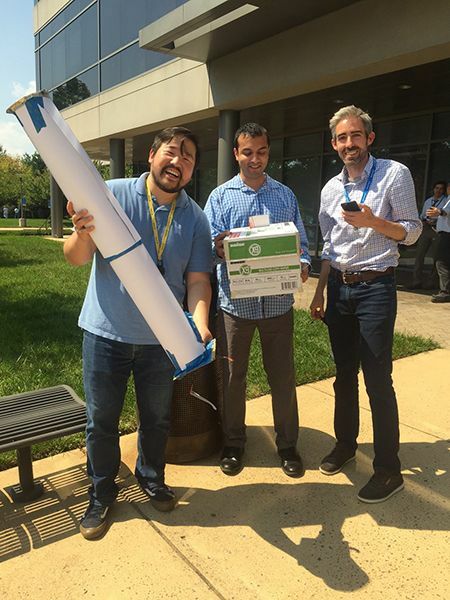 A group of engineers at the company's Dulles, Virginia, facility show off their homemade pinhole camera. 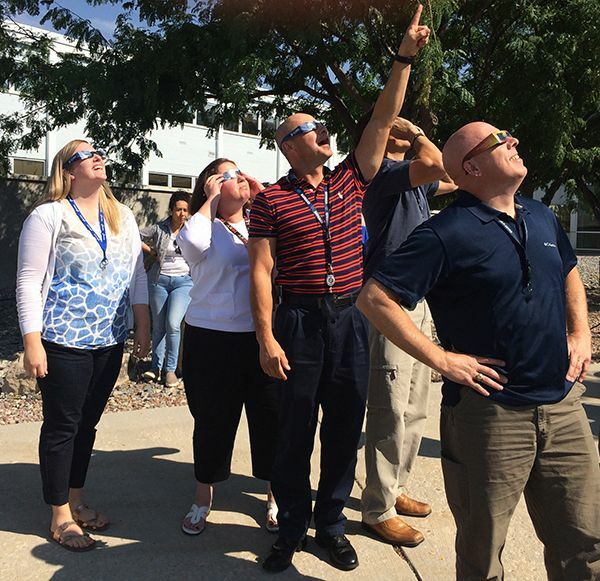 Utah-based employees view the eclipse. 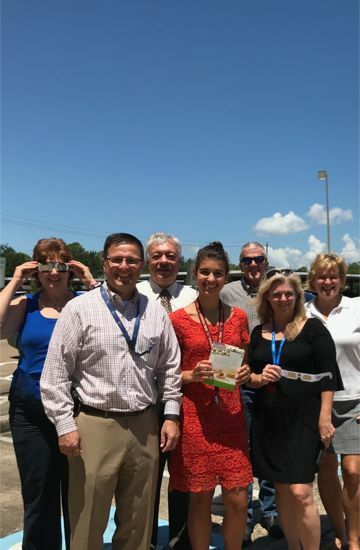 Employees based out of the company's Houston, Texas, office pose for a photo while viewing the eclipse. 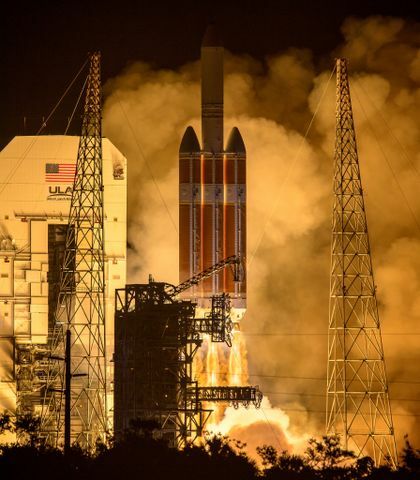 Charlie Precourt, former NASA astronaut and current Vice President and General Manager of Orbital ATK's Propulsion Systems Division, safely views the eclipse through a pinhole camera. 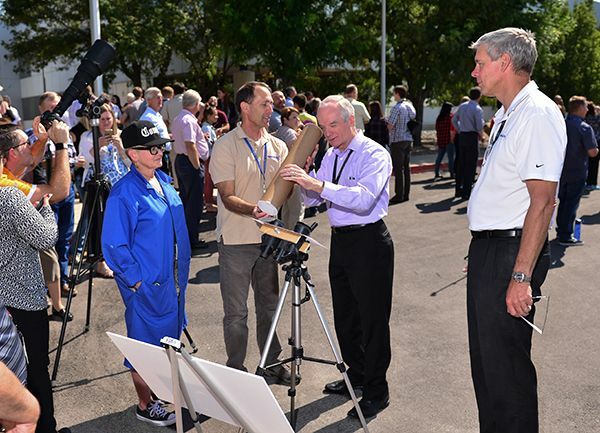 Orbital ATK employee Darrell Lynn uses a unique eclipse viewer made with a metal plate and water jet cutter to view the partial eclipse at Orbital ATK's Mesa, Arizona facility. 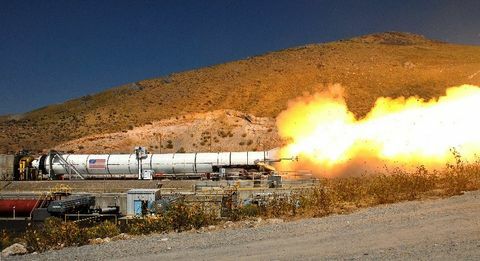 The eclipse can be seen through the dot of the "I" in the Orbital ATK logo. 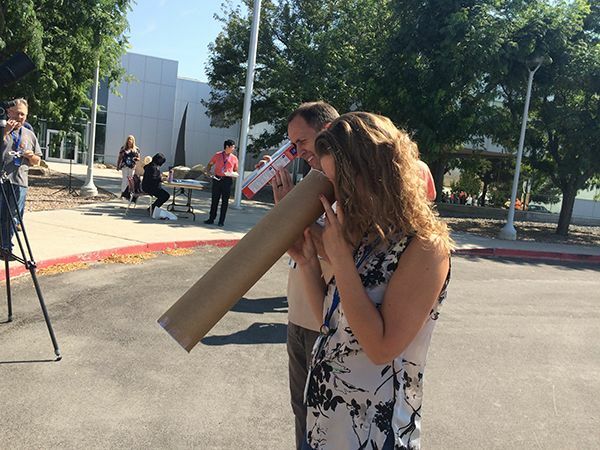 Employees in Utah view the eclipse with homemade pinhole cameras. 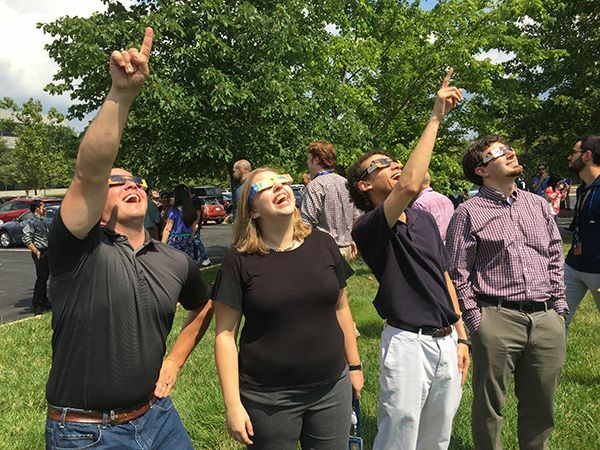 Orbital ATK employees at the company's Dulles, Virginia office gather outside to view the eclipse.